The Kumho Solus TA11 is a standard touring all-season tire specially designed for drivers looking for year-round traction, comfort, and lasting value. 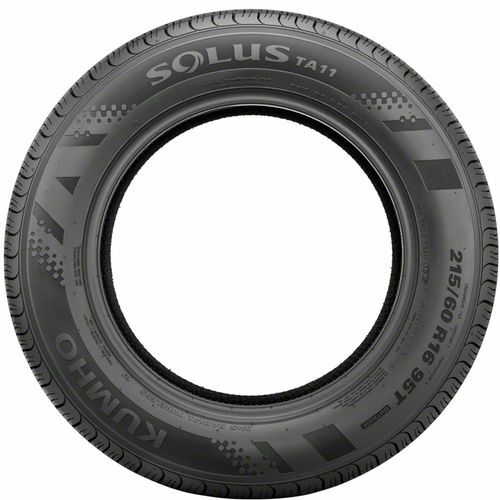 Ideal for subcompacts, sedans, minivans, and small crossover vehicles, the Kumho Solus TA11 will make any budget-conscious driver happy. 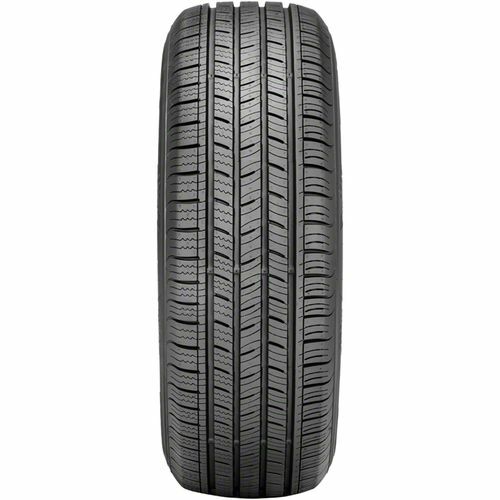 It features an all-season carbon compound molded into an asymmetric tread pattern. They work together to provide traction during all weather conditions while reducing road noise. This means you and your passengers get to enjoy longer rides even when travelling at long distances. 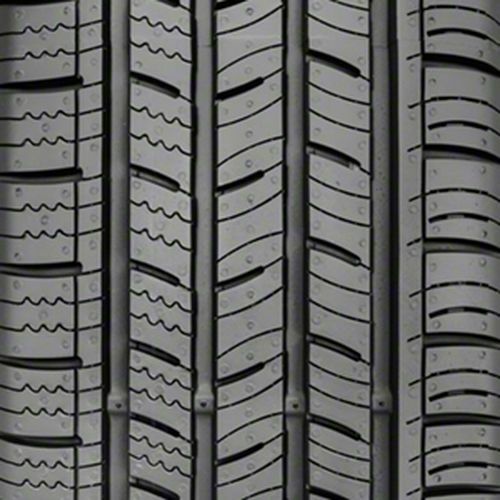 Enhancing its wet traction are the notched shoulders and for circumferential grooves which drain water efficiently out of the tires while increasing resistance to hydroplaning. This feature is made even more attractive by the integrated zigzag sipes which create gripping edges required when driving through wet and snow-covered road surfaces. It is backed by a 75,000-mile treadwear warranty. 205/60R-15 700AB 1,356 lbs 44 psi 11/32nds 5.5 - 7.5" 8" N/A 25"
Purchase includes the Kumho Solus TA11 tire only. The wheel rim shown in the picture is not included. Picture provided is a stock picture from the manufacturer and may or may not reflect the actual product being ordered. 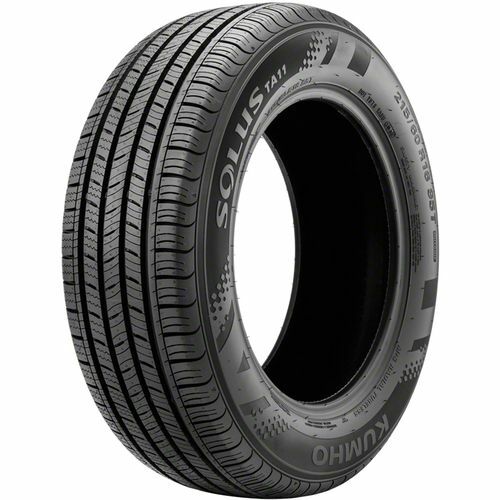 All Kumho Solus TA11 tires are continuously developing with manufactured improvements. With that said, Simple Tire and the manufacturers have the right to change these tire specifications at any time without notice or obligation. Please Note: Specifications of the Kumho Solus TA11 tires shown above are listed to be as accurate as possible based on the information provided to us by Kumho tires. I love these tires. I’ve had them on the last three cars I’ve driven over the last 12 years. The tires are “soft” on the road offering great traction on both wet and dry pavement. Good lasting tires as well and you can’t beat the price though due to their popularity, their prices have climbed. But I’d put them up against any mid to upper priced tire. A substantial difference in these tires. They grip really well dry or wet conditions. There's a little more road noise but not significant. Very satisfied with the results and happy with the price. Installed these tires on my 98 Camry, then proceeded to drive 2400 miles the next day across the country. These tires are excellent, made it the whole way with zero issues. Tires are a little bit noisy on the road but that’s the only concern I had. Great tires highly suggest to anyone !